Work with IT solutions that complement how you work and what you do. Streamline workflows. Increase your competitive edge. No business is the same. 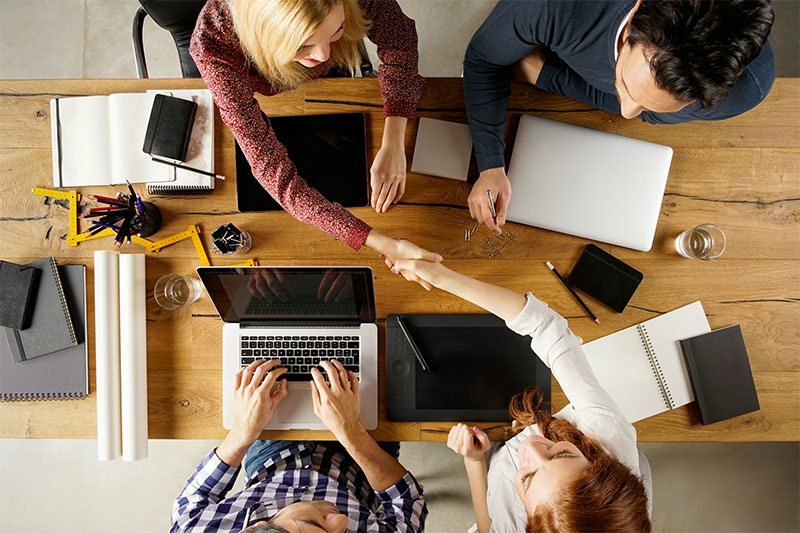 With different needs, goals, and obstacles, each business requires a unique set of IT solutions. That’s what Bmore Technology does best. At Bmore Technology, our team of IT experts can build and implement the perfect infrastructure and solutions for your business. 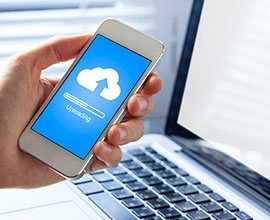 From data backup and network security to cloud computing and professional communication solutions, we can help your staff become more productive and your business become more successful. A dedicated consultant will reach out shortly. Do you currently work with an IT company or have an IT budget? Setting businesses up for success! Whether you’re looking for managed IT service providers in Maryland or it’s time to improve your IT infrastructure and security after a data disaster, you can trust Bmore Technology for all of your business’s IT needs. At Bmore Technology, we know the crucial role that IT systems and support can play in the day-to-day operations of modern businesses — and we know that IT issues, infrastructure problems, and data disasters can happen at any time. That’s why we are proud to offer 24/7 customer support to ensure that you and your business have access to expert IT assistance whenever you need it! 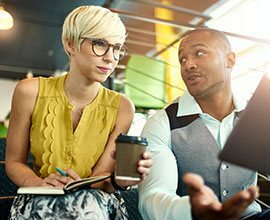 Business communications – We offer sophisticated, versatile communication and collaboration solutions that can promote productivity, optimize internal and external communications, and perfectly support your business’s needs now and well into the future. Cloud computing – Enhance your competitive edge and improve your business’s daily operations with scalable, integrated cloud computing solutions from Bmore Technology. 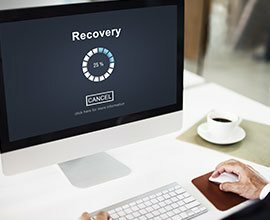 Data backup and data recovery – Seamless and reliable, our multiplatform data backup service can back up data hourly, weekly, or otherwise from various IT assets across multiple locations. If a data disaster ever strikes, we can diagnose the issue and take immediate action to retrieve your data. Bmore Technology has one of the highest data recovery rates in the industry! 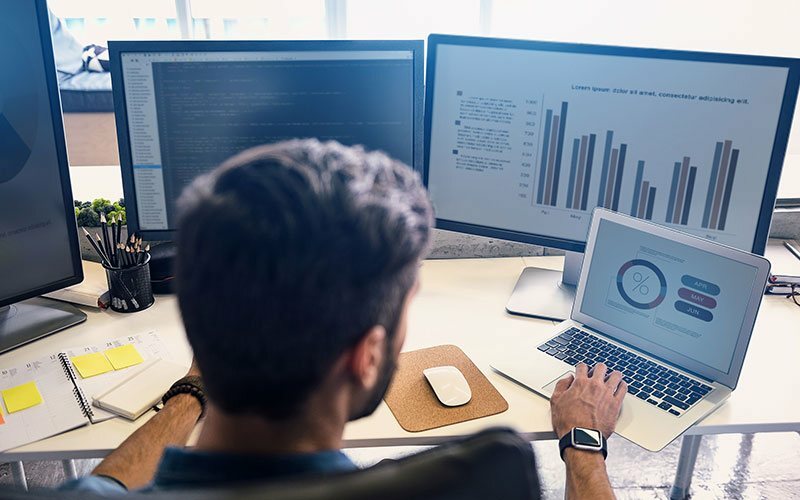 Network security – Safeguard your business’s network, infrastructure, and data from threats with state-of-the-art network security solutions from Bmore Technology. Managed IT services – Our managed IT services can give you confidence that your IT systems and technology are optimized, reliable, current, and hassle-free. Bmore Technology is the premier choice for managed IT services throughout Baltimore and beyond! Software as a service – Unlock robust capabilities and enhance current workflows by assuring you have the most current software with Bmore Technology’s SaaS solutions. Let Bmore Technology handle your IT needs so you can focus on growing your business Call (443) 524-8800 or contact us online for more info! Bmore Technology is the number one choice for managed IT services in Baltimore and beyond! Whether you run a startup company or an established, medium-sized enterprise, we have the expertise, resources, and technology to fully support your business’s IT needs. Check out our testimonials to see how we excel in managed IT services and customer support for various types of business. Or simply contact us today! Bmore Technology supports a wide variety of clients.